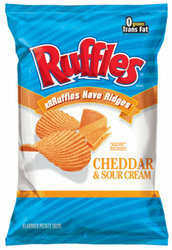 Ruffles Potato Chips. The most popular "ridged" chips in the world. We offer them in the two most popular flavors.